New proposals for the future of libraries in Telford and Wrekin are set to be approved by the council’s cabinet. The plans follow two detailed consultations which have taken place during the course of this year and will mean original proposals to close six of the borough’s nine libraries have been ripped up. Now three of those six libraries – Donnington, Dawley and Stirchley – will be run by Town or Parish Councils. Also a fourth library in Hadley will be run by Hadley Learning Community, supported by Hadley & Leegomery Parish Council. This was after the Town and Parish Councils expressed concerns about their library closing and indicated they would be interested in running a community lead library. 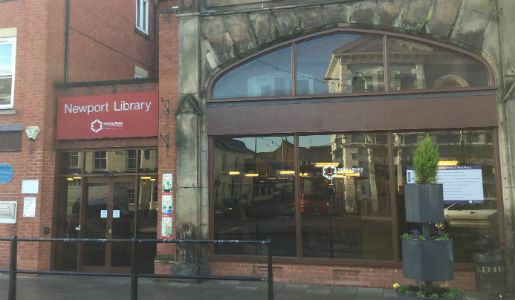 Having listened to what residents have had to say about the proposals, the Council has also decided it will continue to run and operate Newport and Madeley Library with some changes to opening hours. These libraries along with the libraries at Southwater and Wellington all provide a First Point service for the community to use and all four libraries will continue to be run by the Council. In Oakengates, the library will also be run by the council as it is part of Oakengates Theatre with some revised changes to opening hours. Oakengates Town Council has also agreed to fund the opening of the library on Saturday mornings. No organisation has come forward to help fund or run the mobile library service so that will cease from 31 March, 2017. The council does however have an excellent online library with a growing number of ebooks and magazines available to download and operates a home library service for vulnerable adults who are unable to visit their local library where volunteers deliver books to the home. As a result of the consultations, a number of residents have also volunteered to help the council expand the home library service. Councillor Liz Clare, Telford & Wrekin Council’s cabinet member for Libraries, said: “This all started with our original budget proposals back in January which included the closure of six of our nine libraries as we strove to make £30m worth of savings over two years. “However, I would like to say a massive thank you to partners, namely Great Dawley Town Council, Stirchley & Brookside Parish Council, Hadley & Leegomery Parish Council, Hadley Learning Community and Donnington & Muxton Parish Council, for stepping forward to save their respective libraries and to Newport Town Council for contributing money for the book purchasing fund to help maintain book stock at Newport Library. “Working in partnership has meant that the council could carry on running and operating Newport and Madeley libraries. So none of our libraries will close which is a great result for the whole community. The only thing that will end is the mobile library service. “The council will continue to provide hands on support to the new community lead libraries by allowing access to use of the council’s ICT library loan system, help to decide on refreshing book stock, provision of new books and support for training volunteers. Telford & Wrekin Council’s cabinet is being asked to approve the shape of the new service when it meets on Thursday 15 September.